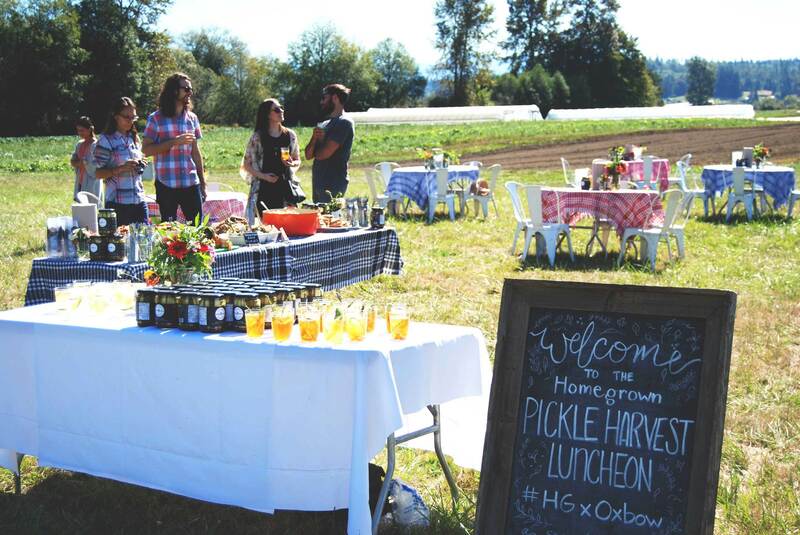 We gathered at Oxbow Farm & Conservation Center in Carnation, WA to celebrate the launch of our very own organic dill pickles. These hand-packed jars of artisanal pickles represent just the start of our collaboration with Oxbow Farm, a 30-acre farm devoted to organic farming and sustainable land stewardship, and Seattle Pickle Co., a local pickler that embodies the best of community-centered commerce. 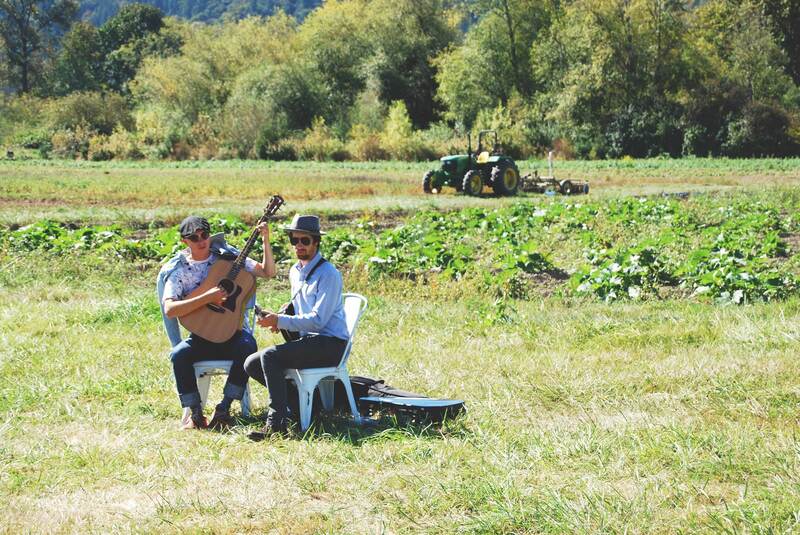 There was no better place to celebrate than Oxbow farm, next to the very fields where our early ideas of having our own pickle and the cucumber plantings that followed germinated and grew into an amazing partnership. 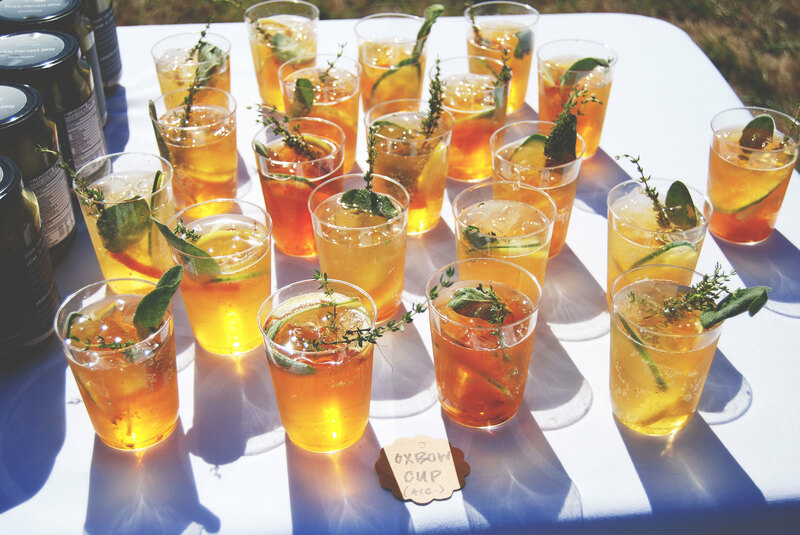 We feasted on a farm lunch featuring dishes and drinks that repped cucumbers in every shape, form and preparation – from spicy Japanese pickled vegetables tossed in whole wheat soba noodles and pork loin sliders with cucumber slaw to our cucumbery twist on a traditional Pimms Cup and pineapple cucumber coconut water. 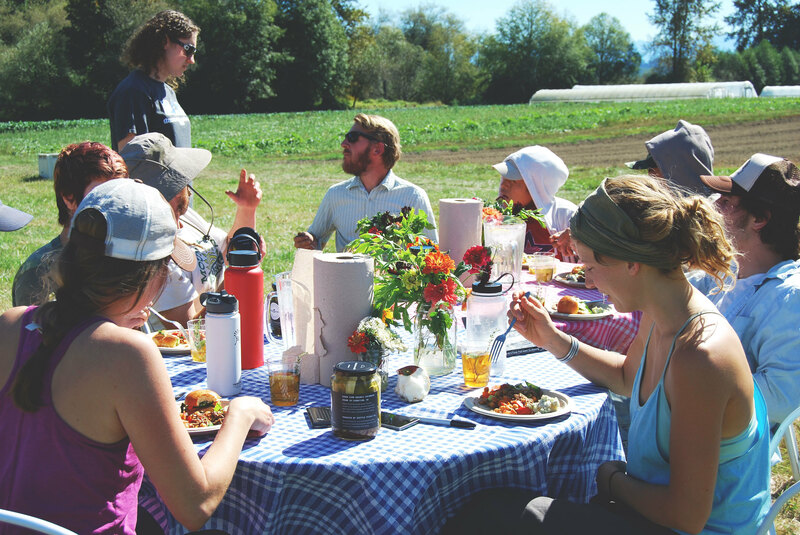 From cucumber-to-jar, we focused on local and organic ingredients and a mild pickling recipe to let the produce shine as a preserve throughout the year. 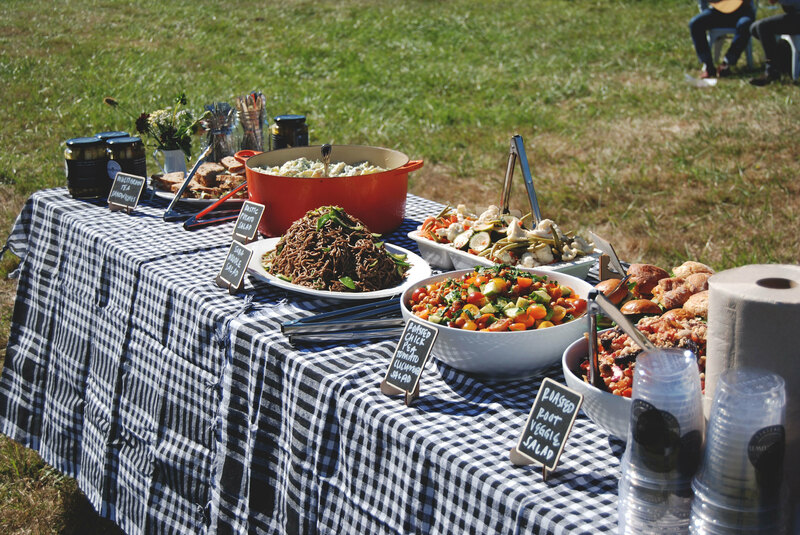 Accented with garlic, dill and coriander, we made sure to add classic flavor but maintain an amazingly fresh crunch. We couldn't be more proud of our first pickle jars. Swing by any of our stores next week to grab your own jar and let us know what you think by tagging @homegrownian.